Availing car insurance is perhaps the easy part, whereas understanding the various terms involved and making sure you pay only what’s required as part of your insurance is entirely another issue. Get to know the commonly mentioned terms and the next time you look at your policy statement you will not need to struggle much. It is the amount that is payable by the claimant from his own pocket. The money paid by the insurance company is after subtracting the deductibles from the actual value of the claim. For example, if you happen to make a claim of Rs.5000, and your deductibles are Rs.800. Only after you pay up Rs.800 first will the insurance company pay the remaining 4200 as part of the claim. However, if your claim is only Rs.800, in that case you will be bearing the entire expense of Rs.800 and your insurance provider will have to pay nothing. IDV stands for Insured’s Declared Value. It is based on the current market price of the car that needs to be insured. 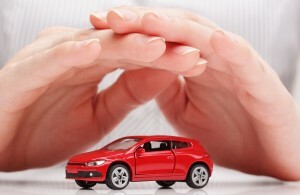 It is the amount that will be provided by your insurance policy at the time of making a claim. A claim is made when the insured meets with an accident and the expenses or a part of it is taken care of by the provider. The coverage also depends on the type of car insurance availed. A No Claim Bonus or NCB is a bonus given to the insured on account of not making any claims during the previous policy period (which is a period of 1 year). The value provided is between 20 to 50% of the Own Damage premium and not on the Third Party Liability premium. A NCB can be transferred to the insured and not to the insurance policy. When one is changing their vehicle, the new owner will be required to pay including the NCB. The original owner can however use his NCB on his new vehicle. You also have the option of transferring your NCB when you change your insurance company. You can do this by providing proof of a no claim bonus from your previous policy record. The period of the policy is one year. Never lapse on paying your premiums. Even if there is a delay by one day, your car will require inspection. Also, the policy should be renewed on time, in order to avoid lapse. Have more questions regarding car insurance? Stay tuned.